Writer and storyteller Michael Harding walked from the historic town of Boyle in Roscommon to his home in Arigna. 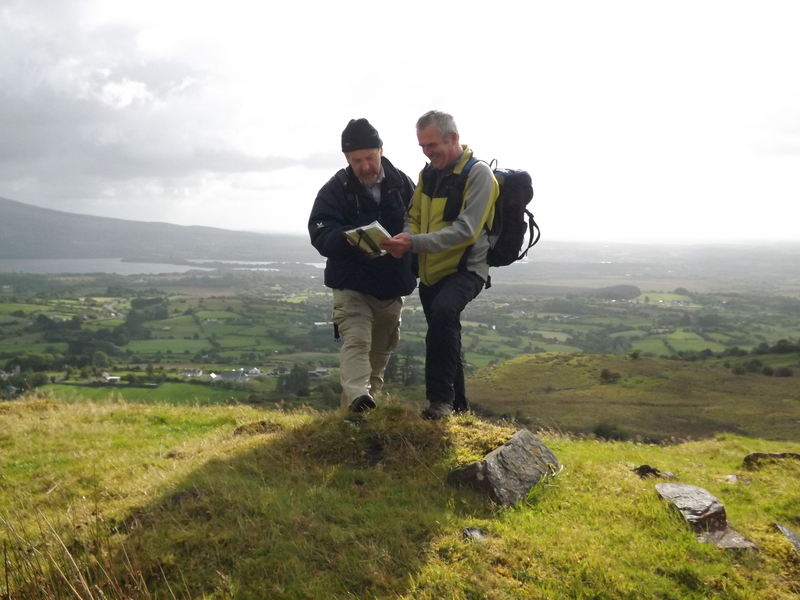 Michael followed the Miner’s Way and Historical Trail, part of which is based on the routes miners walked over the mountains to Arigna, the site of the last underground coal mine in Ireland. Michael and his guide, Philip James’ first stop was Boyle Abbey, a 12th century monastery which was converted into a military garrison by the British Army in 17th Century. After exploring the architecture and history of the Abbey they set off again on the Miner’s Way which covers a distance of 128km. Michael and Philip did 30km of this route. The road led them to Rockingham House, home to the King Family in the 18th Century, who were Tudor adventurers and were gifted the land that once belonged to the abbey. Their estate stretched from Boyle to Lough Key. Built in the footprint of the house is the 70’s, Moylurg Tower is a focal point of the 350 hectares of the landscaped wonderland of bog and woodland trails of Lough Key Forest and Amenity Park. The summit was an excellent vantage point for Park Manager Louise Fitzpatrick to give Michael and Philip a different perspective on their walk. Michael discussed the journey across the mountain with former miner at Arigna, Peter McNiff. He followed in Peter’s footsteps for the last stretch of his journey to get to the Arigna Mining Experience. One of the most extraordinary things about the museum is that they can recreate the experience with a real miner. Michael arrived almost at his door, having traversed 850 years of history and 30 km on a most unusual walk home. Tracks & Trails is supported by the Irish Sports Council.